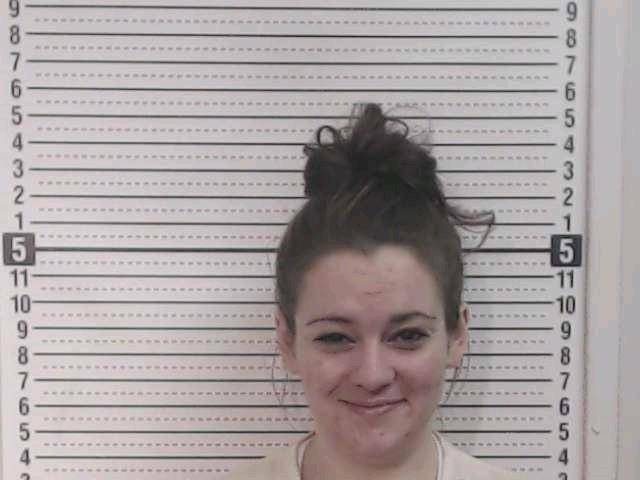 A jury trial was cancelled Thursday for a 26-year-old Washington Court House resident who was charged after police reportedly found her passed out inside a vehicle at Kroger with a handgun and methamphetamine. Amanda E. Monroe is now scheduled for a plea hearing on charges of carrying a concealed weapon, a fourth-degree felony; improperly handling firearms in a motor vehicle, a fourth-degree felony; aggravated possession of drugs, a fifth-degree felony; and illegal possession of drug paraphernalia, a fourth-degree misdemeanor. The jury trial in the case was scheduled for Thursday but cancelled after the court received notice Wednesday of a potential plea bargain. The plea hearing is scheduled for 8 a.m. Friday. The Washington Court House Police Department and the Fayette County EMS responded to a call March 24 at the parking lot of Kroger, 548 Clinton Ave., to check on a person who was allegedly suffering from a drug overdose. The person who made the call stated to police that a woman, identified as Monroe, had been passed out inside of a vehicle for nearly two hours. The officer reported Monroe still had her foot on the brake and she woke up when the officer opened the vehicle’s door. The officer asked Monroe for her identification and when Monroe reached for her purse in the passenger seat, the officer allegedly noticed a handgun inside the purse, reports state. The officer reportedly grabbed the handgun from Monroe but Monroe stated she had a valid CCW license. The officer told Monroe that if she does have a CCW, she still failed to inform law enforcement that she was carrying a concealed weapon, stated reports; however a records check revealed Monroe did not possess a CCW license. Two glass pipes used for ingesting methamphetamine and a small zip lock bag containing methamphetamine were allegedly located inside the vehicle. Monroe was arrested and transported to the Fayette County Jail.